We have been so pleased with the quality of girologio that we wanted to share more of their products with you. 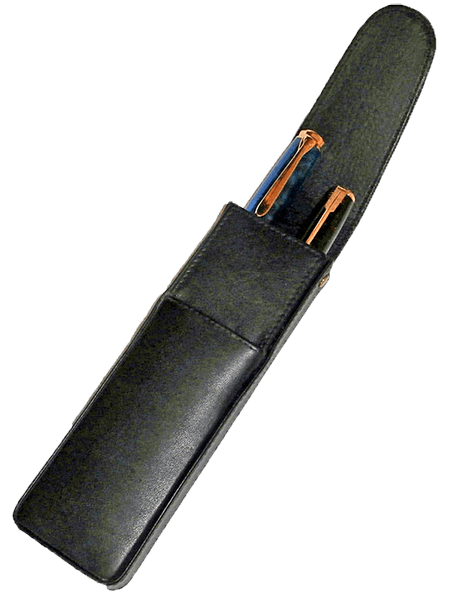 The leather on these cases are very soft and supple and are designed extremely well for protecting your pens and functionality while still exuding class. 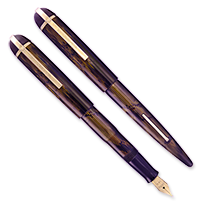 You and your pens deserve the best, they deserve girologio! Available in brown, cognac or black leather. Pens are for display purposes only and are not included. Fountain Pen Nibs & Accs. Loking for an awesome vintage pen to add to your collection? You look is over with this gorgeous and hard to find Skyline in brown modern stripe. 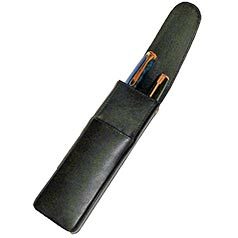 Our next show will be the Chicago Pen Show on May 2nd through the 5th at the Chicago Marriott Northeast in beautiful Hoffman Estates, Illinois. We hope to see many of you at what we consider one of our home shows. Be sure to reference our U.S. Pen Show Schedule to plan your next show to attend. Come sit with us and have your pen tuned or restored while you wait.